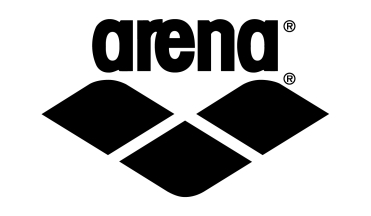 Arena Shipping Jammer are part of their latest Training range of swimwear, designed for swim training and regular pool use. Our technologically advanced Maxlife fabric is durable enough to face your rising champion's swim sessions. our state-of-the-art textile will keep his focus on swimming in a suit that fits like new. 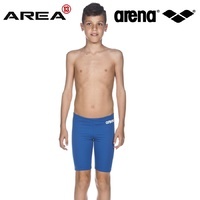 Our streamlined jammers for boys are designed to reduce water resistance. 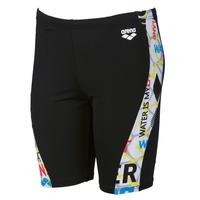 This suit measures 36 cm, giving your aquatic dynamo coverage and comfort from mid-waist to just above the knee. Inside lining for no see-through.